Illuminated signs allow businesses create a subconscious emotional link with passing foot flow. 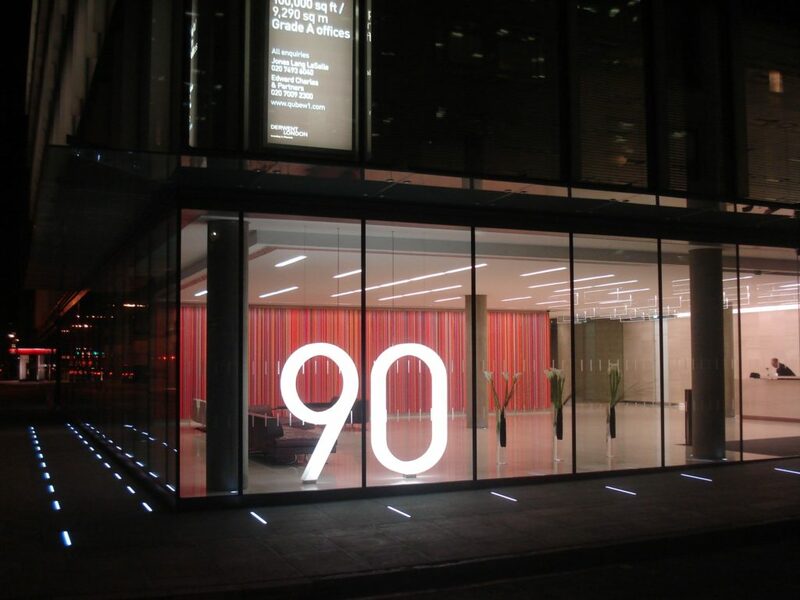 Increasingly sophisticated manufacturing techniques combine with low-energy maintenance free LED to offer any organisation the chance to create cost-effective high impact illuminated signs. It’s a human instinct to be drawn to light. The use of lighting creates an emotional connection, which develops at both psychological and behavioural levels. As research in the Journal of Consumer Psychology explains, lighting has an impact on decision making and our emotions. The human eye is naturally attracted to brightness, especially where it contrasts with its surroundings. LED illuminated signs stand out, even in bright sunshine, enabling them to be clearly read from a distance and close up. This means, that on a street with a lot of competing business signs, an illuminated sign has a greater chance of being noticed by consumers. Many of us live in locations where there is activity day and night. From supermarkets open 24/7 to late night bars, pubs and clubs, cities and towns are always on the go. An illuminated sign ensures your business and your brand is seen even after dark. Not only will you stay noticed in the evening, you’ll be able to create an advantage over your non-illuminated competitors. LEDs maintain constant brightness, don’t flicker, and will ensure an even distribution of light across the sign. Correctly installed LED ensures the ‘correct’ amount of illumination for the sign – it can be seen clearly without being too brightly lit. As earlier, LED is also an energy-efficient and therefore sustainable choice. The latest LEDs are virtually maintenance free and therefore offer a durable solution. LEDs can last for up to 100,000 hours, that’s about 6 years longer than a neon or fluorescent alternative. And, because they are not reliant on gas, which can leak from the bulb, LED brightness is consistently maintained. LED illuminated signs use up to 80% less energy than neon bulbs. This means they are more efficient and much cheaper to run and produce a much smaller carbon footprint. As well as their environmental credentials, using LED allows for more design-led signage options – brilliant for brands where look is important. LED are thinner in size and can be used in illuminated signs, lettering and lightboxes in almost unlimited sizes and colours. For any business looking to create a great impression illuminated signs are an affordable option that will offer long term branding and marketing benefits.